PA200 is a digital media player, which is designed to play the digital audio and video contents on TVs, computer monitors, or any compatible display devices. 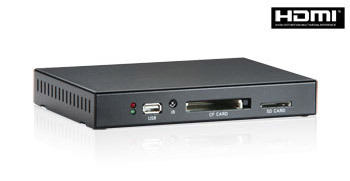 The device is built-in a USB port, a SD card slot and a CF card slot for connection to storage devices used for storing the media files. 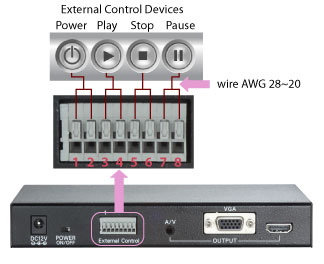 It also provides various output methods, including High Definition, A/V and VGA connection, making it flexible to play the audio and digital contents on various entertainment devices.